Home | MoM answers | How to treat hayfever with natural remedies? How to treat hayfever with natural remedies? My 2 1/2 suffers from hayfever and just like to ask if any mothers out there has used natural remedies instead some form of medication. At the moment am giving her Claratyne for kids. This is a old method my parents and I used on our kids. Trap allergens with Vaseline. Smear a small amount of Vaseline inside the nostrils with a cotton bud as this reduces the symptoms of hay fever. Trapping all unwanted pollutants. *I found it in an online p[pharmacy for a cheaper price than their website too. I swear by Brauer Hayfever tablets, but they’re not for kids under 6 years old. Try the oral spray, which can be used from 2 years. Many years ago I was given the advice of eating local honey made by local bees as it would help with hay fever. It has to do with the pollens. I must admit I now buy and eat local honey; my hayfever is not as bad; this may be pure coincidence. May be worth checking with a health store/GP. As you are looking for natural remedies; I would visit a Health Food/Products shop as they offer lots of different and safe alternatives. Always check with your doctor that any natural alternatives are safe and ok for your family to use if you are using other medications. Thankyou for your response and shall take it on board. oopps sorry : meant to write, there are different fess sprays for different age groups. HI, I have used fess on my son and found it helpful. Below is a web article from the children’s hospital. Best of luck and hope your little one finds relief soon. Hay fever is the common name for a condition called allergic rhinitis, which means an allergy that mainly affects the nose. Hay fever can occur all year round. However, your nose is not the only organ that can be affected by allergic rhinitis – so can your eyes, throat, sinuses and ears. create more frequent eye infections because people rub itchy eyes. Hay fever is triggered by what we breathe in. The small hairs and mucus in the nose trap dust, pollens and other tiny particles. A person with hay fever is allergic to some of the particles that get trapped in the nose. When someone has hay fever all year round (called perennial allergic rhinitis), they are usually allergic to dust mites, animal fur and/or mould spores. The best treatment is to identify what causes your child’s allergic reaction and then try to avoid, or at least minimise, contact with it. Other options include medication and immunotherapy. Sometimes the cause is obvious, such as a pet, however sometimes your child may need to see your doctor to identify the particular allergen/s. The doctor will ask questions and may suggest allergy tests (such as skin prick tests) to identify the cause. Hay fever cannot be cured, but there are a number of ways you can improve the symptoms and give your child some relief. Preventive measures play an important role in the treatment of hay fever. nasal sprays may be useful for older children. Your doctor or pharmacist can give you advice on which may be best for your child. Specific allergen immunotherapy is a long term treatment that usually involves injections of allergen extracts. Talk to your doctor if your child has serious allergic reactions. Hay fever is an allergic reaction and is most common in spring. Perennial allergic rhinitis occurs all year round. Avoiding triggers is the best way to reduce the frequency of hay fever attacks. 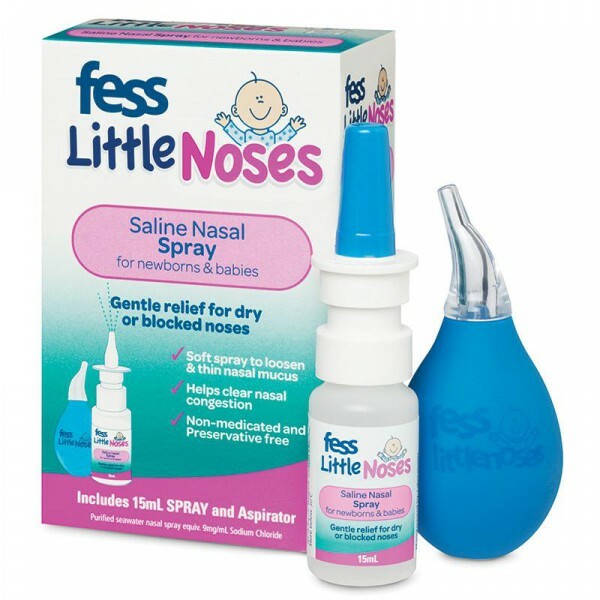 There are fess spray for different ages.